There are some other design characteristics that go beyond drawings and lists, though. Some design qualities could even be said to transcend the plans and parts. At Levison Enterprises, we see a lot of electronic design projects and those that always meet their goals have four common characteristics. A quality design will always start from an end-goal. What exactly will the product need to accomplish? Where and under what conditions will it need to accomplish them? Electronic project design plans can easily lose sight of these or forget them altogether. An end-goal can be more than just a functioning project. If a customer needs a part within a certain timeframe or has certain specifications, the end-goal is not met if the final product isn’t done on time and to their specifications. Functionally, the product may work. But if the customer isn’t happy with how it was completed or when it has only partly met the goal. Good electronic design will factor customer expectations in and ensure that they are met throughout the manufacturing process. Chances are that if you are going to the lengths of designing an electronics project specifically to meet a need or goal, you intend for it to operate for a reasonable length of time without error. Regardless of the products intended purpose, there is an expectation that it will a) work and b) do so more than once. Good designs aim for products that will work when expected to work and for a good duration of time. They plan for products that can withstand environmental factors that may adversely impact performance. Basically, good designs don’t produce junk products. Since there is typically a myriad of ways a project can be completed, customer or project specifications are often closely connected with customer satisfaction. It is one thing to suggest possible efficiencies or improvements for a customer’s design. It is another entirely to substitute one’s own judgment when a specification specifically calls for something different. Sometimes electronic part specifications can get confusing. A design may call for the project to be lead-free and then erroneously include leaded parts. A good electronics design will recognize those discrepancies and work to fix them through communication and within the customer’s specifications. Good electronics design will also find a way to meet specifications, even when they may prove to be difficult or frustrating. Ultimately the objective of all electronic design projects is manufacturing. No one creates a design just to create a design. Unfortunately, sometimes we see designs that do forget this. Electronic designs can come in perfectly packaged and organized, but if they haven’t been created with manufacturing in mind, the designs might end up being pointless. Typically, the best electronic drawings keep manufacturing in mind are simple and clear. The more unnecessary complications involved, the more difficult the manufacturing. Good designs get the project running and recognize that adjustments can be made once that key function is achieved. Good designs always have an eye on manufacturing. At Levison Enterprises, we see quality and customer satisfaction as one and the same. The reason we recognize good design characteristics is because we look for good design characteristics in our own work. In fact, we demand it of ourselves. In our philosophy, it’s not enough to give you just what was written in your design plan. We want to exceed your expectations and we do that by assisting you in creating a design plan that will produce a reliable, robust and goal-oriented product. We understand the connection between good design and manufacturing and never lose sight of how important both steps are in creating a quality product that will function as required, for as long as needed, in the conditions expected. Our end-goal is your end-goal. 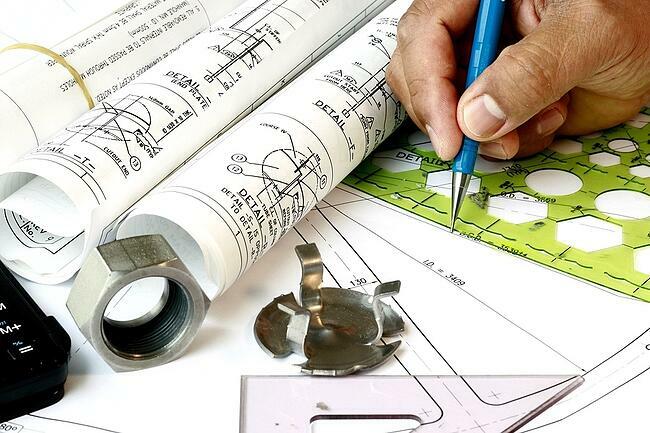 We can help prepare quality design components such as a thorough bill of materials and details drawings. But more, we can help prepare a design that will ensure you receive the product you seek, complete with your specifications. If a quality design that leads to a robust, reliable, specific product is your objective, Levison Enterprises is ready to help you fulfill that goal. Contact Levison Enterprises to draw on our years of expertise in creating and recognizing good design that leads to high-quality products.